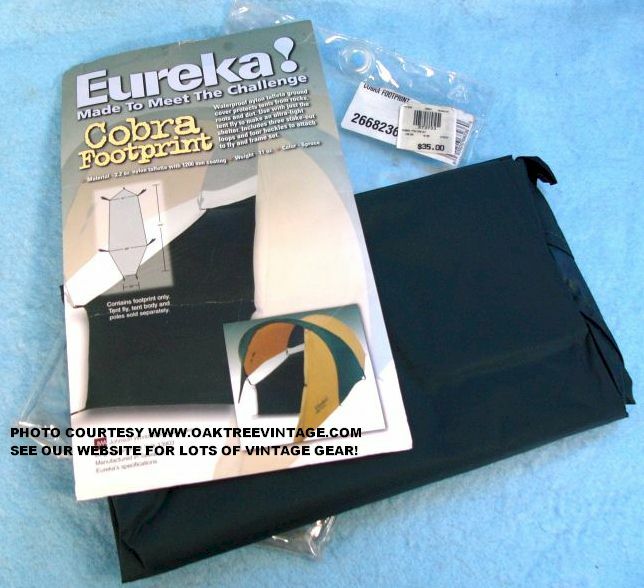 Used Tents Pre-owned /close out Eureka Cobra Walrus Zia tent footprints. Super handy item to bring on any camping trip. Waterproof nylon taffeta ground cover protects tent from rocks, roots and dirt. Use with just the tent fly to make an ultra-light shelter. Includes three stake-out loops and four buckles to attach to fly and frame set. Material 2.2 oz. nylon taffeta with 1200 mm coating. Weight 11 oz. An excellent addition to any outdoorsman's collection. Made of coated nylon, custom fits the Walrus "Zia" model. Protects the tent floor from abrasions and punctures. Heavy duty nylon straps with loops for pegs, brass eyelets for tent poles and fast tek style connectors for the fly. 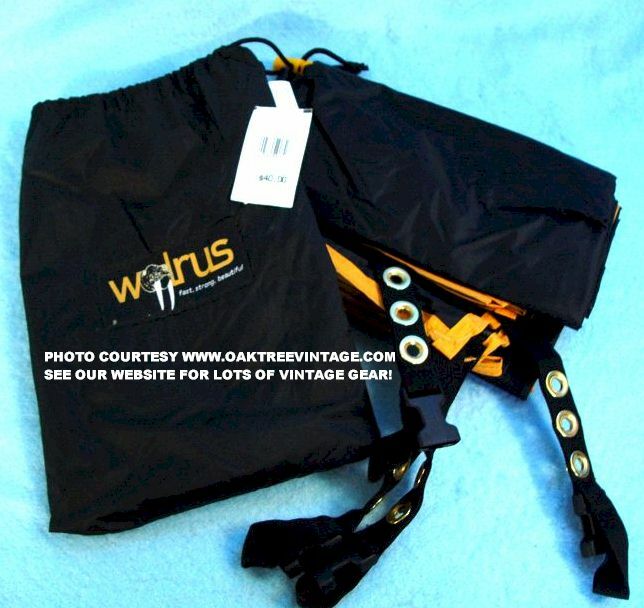 Includes nylon carrying sack with drawstring.